Weekly Happenings: The beginning of this week was pretty average. 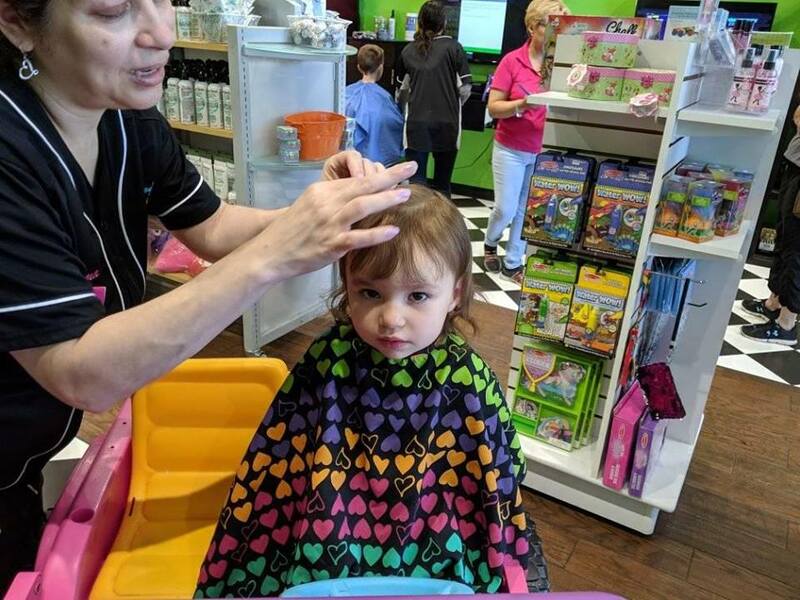 It wasn’t until the end of the week that we did some fun things (an egg hunt in the rain and haircuts for both kids to be specific). The Weekly Weather: It’s been warm and dry until this morning when it decided to start raining right before the neighborhood egg hunt at the park was supposed to start, but luckily it let up enough for us to still go (with a delayed start) and now it’s just gorgeous, with blue skies and big, poofy clouds. What Paul’s Been Up To: He’s really attacked the weeds and bugs in our yards this week. He also has made some helpful posts on our neighborhood Facebook page about yard care (which a lot of people have really appreciated…our next-door neighbor even brought him a gift of a really nice hose that he’s been wanting to get because he found out that Paul had also treated the weeds in his front yard as well as ours). What Sarah’s Been Up To: Between kids, piano students, housework, and Relief Society planning, I’m quite busy, which is great! 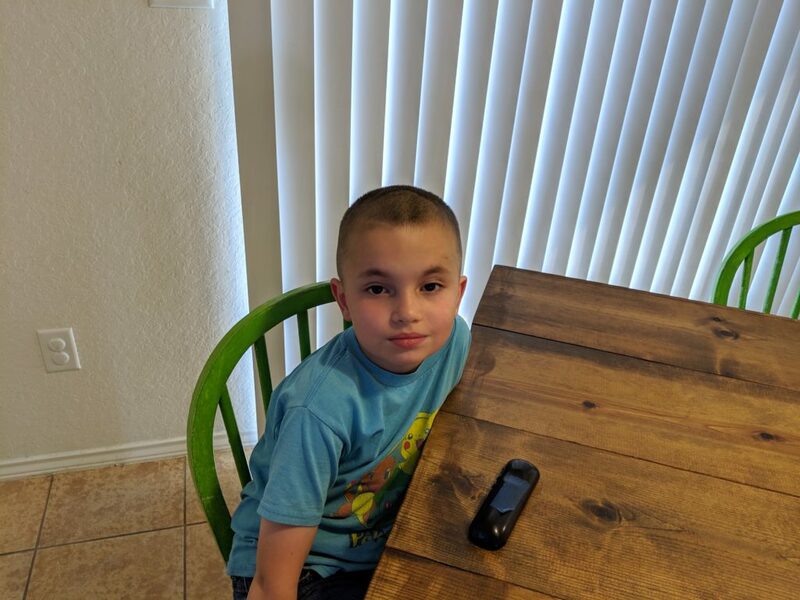 What Joseph’s Been Up To: He lost another tooth, had a great time at the park for a play date mid-week, and really enjoyed the egg hunt today. What Abigail’s Been Up To: After several episodes of “wake up in the middle of the night and just want to be awake for 3-4 hours” that have happened over the past couple of months (and two in a row this week), I’ve decided that she needs to stop napping so that she’ll sleep better at night. So far, it seems to be working. She occasionally starts to fall asleep on longer car rides in the afternoon or evening, but that’s to be expected. 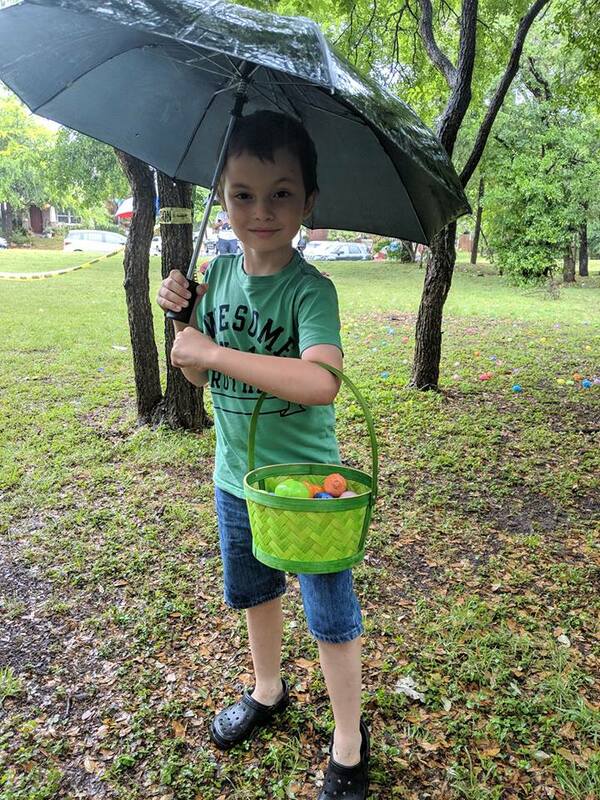 She also enjoyed the egg hunt (I think she liked getting rained on as much as she did gathering eggs). She even found a golden egg which garnered a set of outdoor/indoor toys (so think Frisbee, ping pong paddles and ball, and some other assorted items) that are Mario Bros.-themed. She and Joseph are enjoying sharing that fun prize. 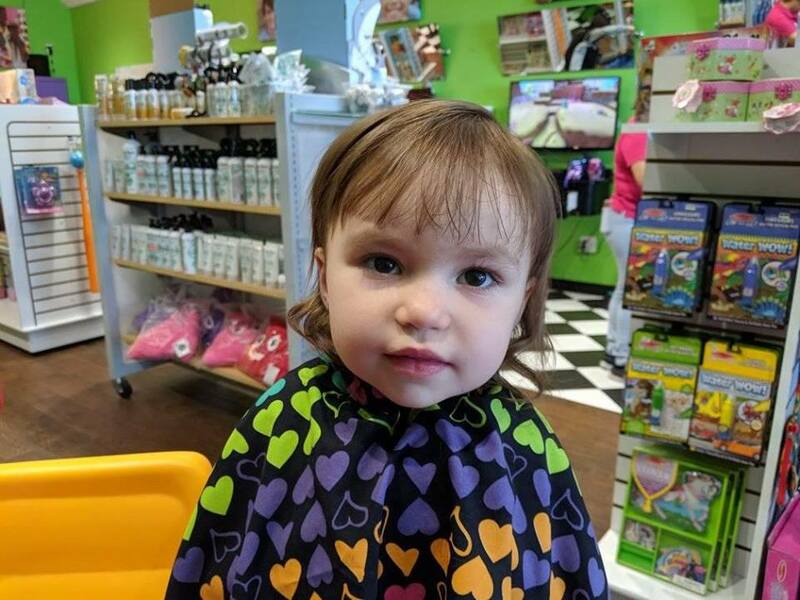 Finally, we took her to get her first haircut today. 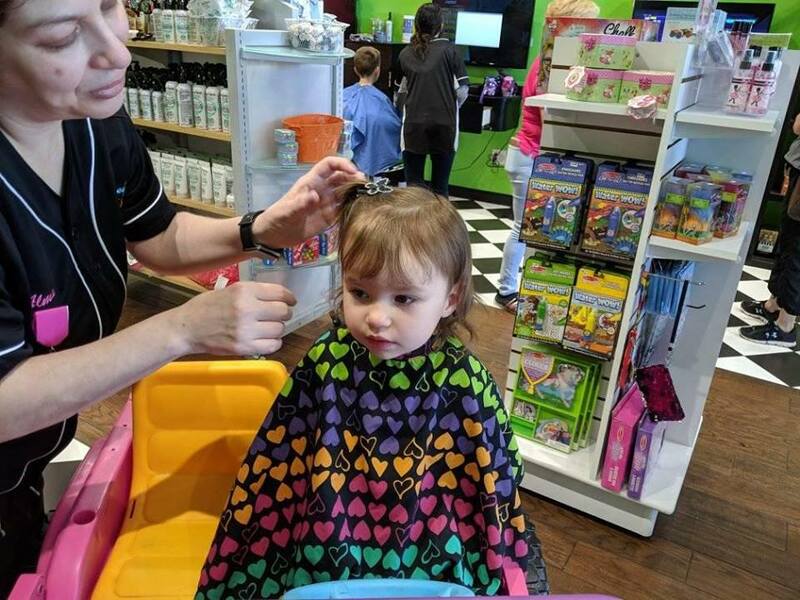 Nothing major…just a bang trim. 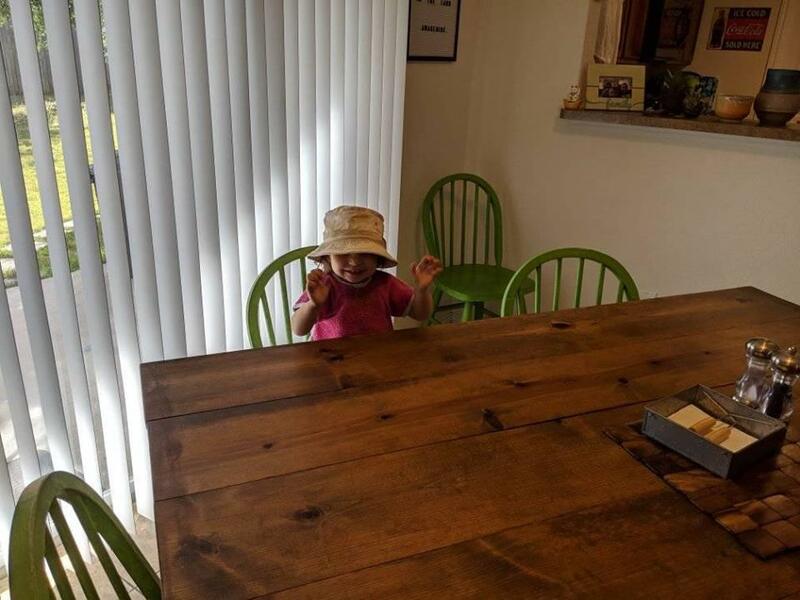 She looks so cute! 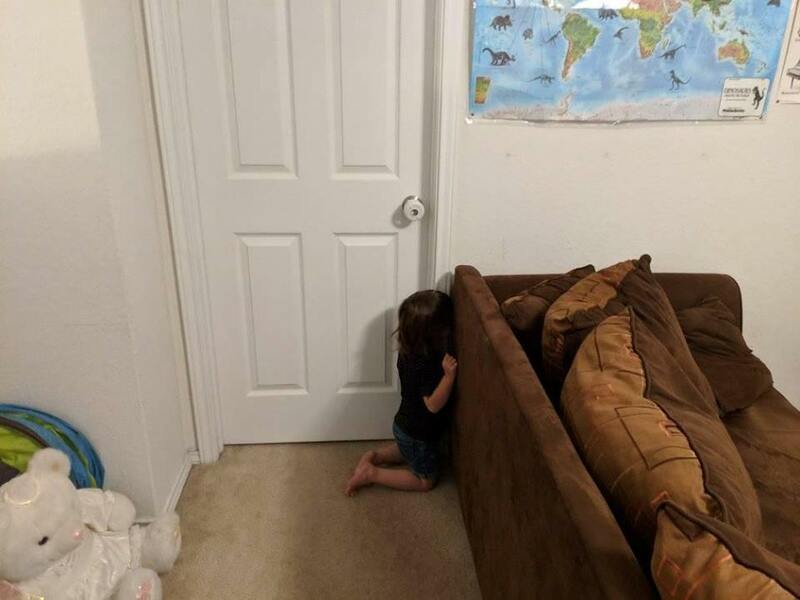 She was hiding from me because she didn’t want to go to bed yet. 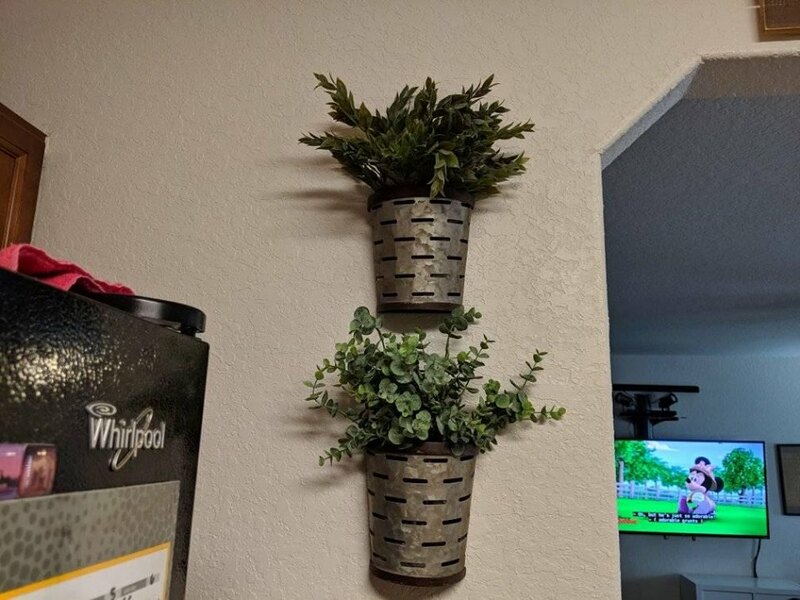 I found some really nice artificial plants to go in my hanging buckets in the kitchen. I think they are the perfect addition. 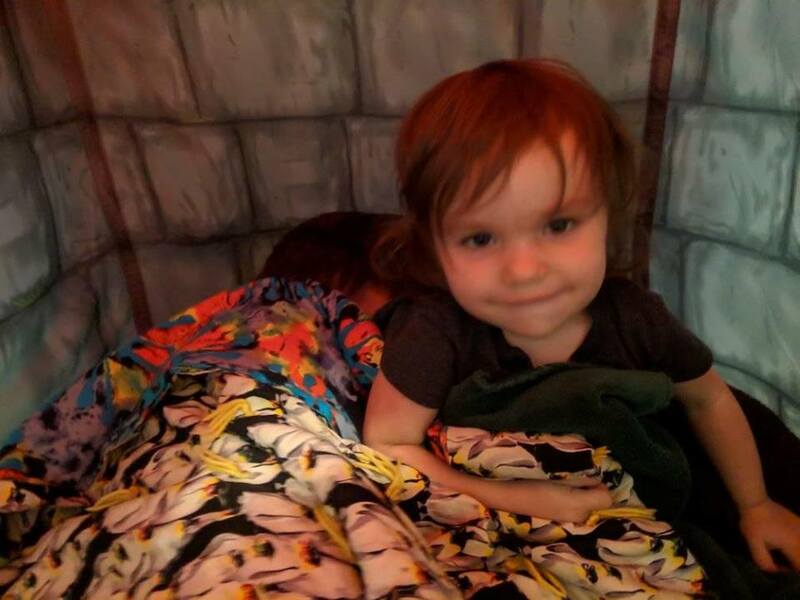 She and Joseph were pretending to go camping and were “sleeping”…until she noticed me sneaking in with my camera. 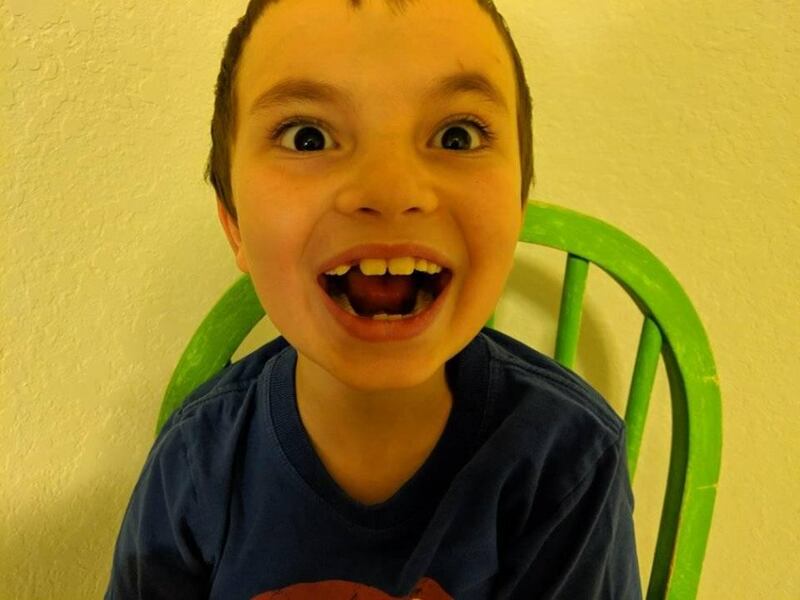 Yet another tooth gone (to the left of his two front teeth). He was brushing his teeth and it fell out. 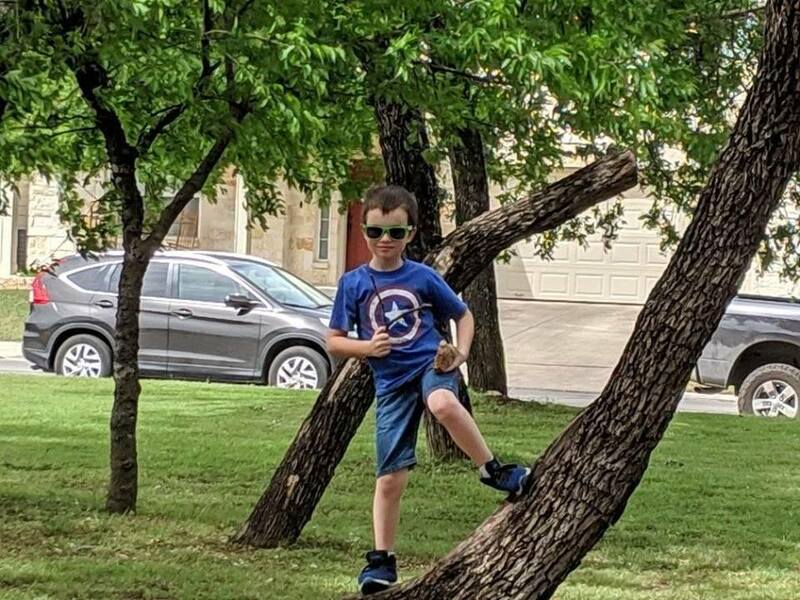 Chilling at the park. He really liked this forked stick he found…and he always loves finding cool rocks. 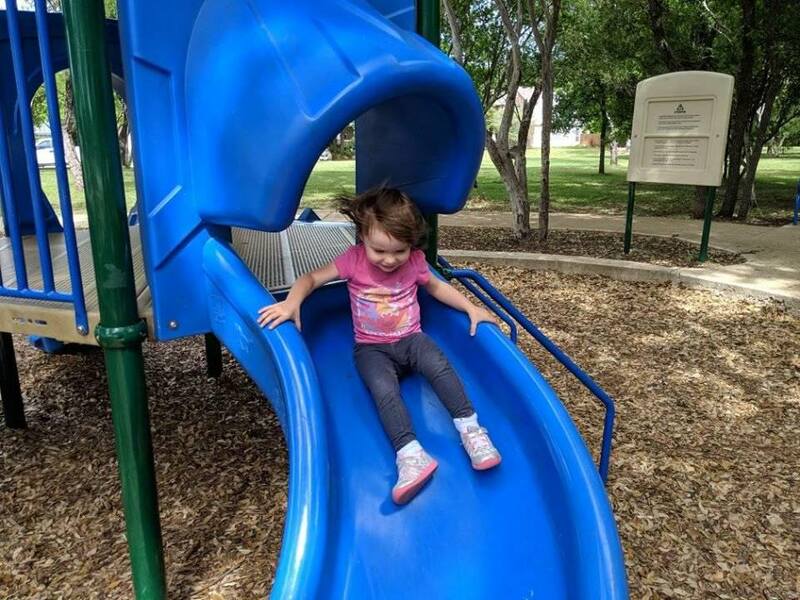 She discovered that she could climb the steps and go down the slide all by herself. She did it over and over again. It was pretty great (and much better than what she was doing right before this: gathering handfuls of wood chips and leaves and throwing them up in the air). When we were last in California, Paul ended up with my dad’s old yard hat, which he gave a good washing. Abigail loves it whenever it makes an appearance. 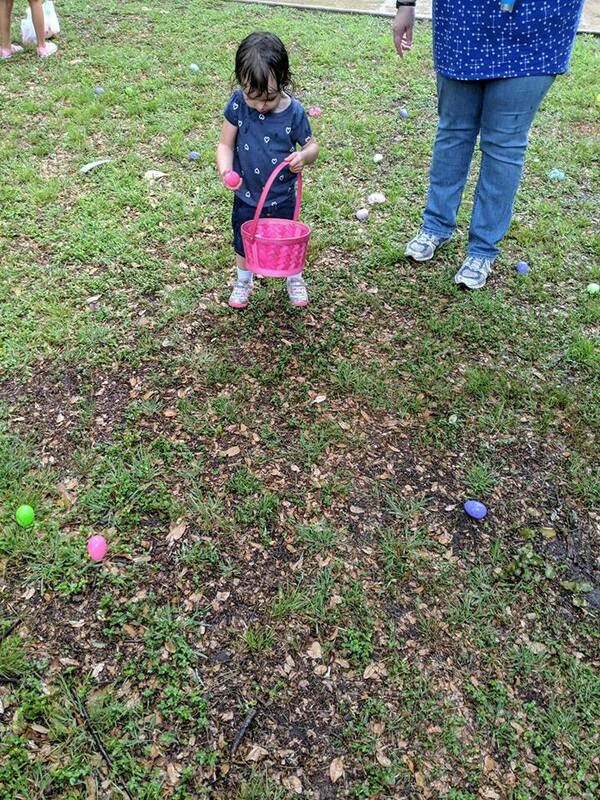 She loved getting to pick up all the eggs. She just said, “Egg, egg!” over and over again. 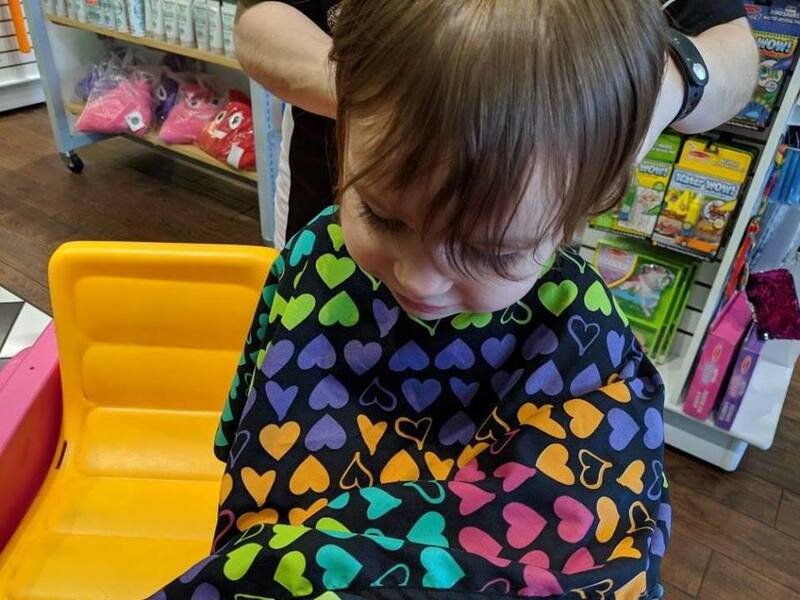 Joseph also got a haircut (though it’s definitely not his first). There’s some serious cooking going on in here. 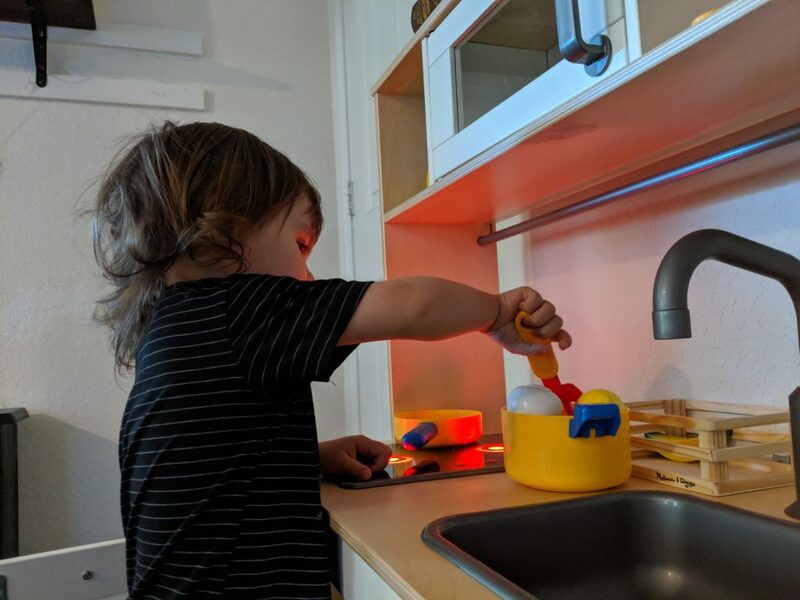 The red glow is coming from the burners on her play stove, which light up. 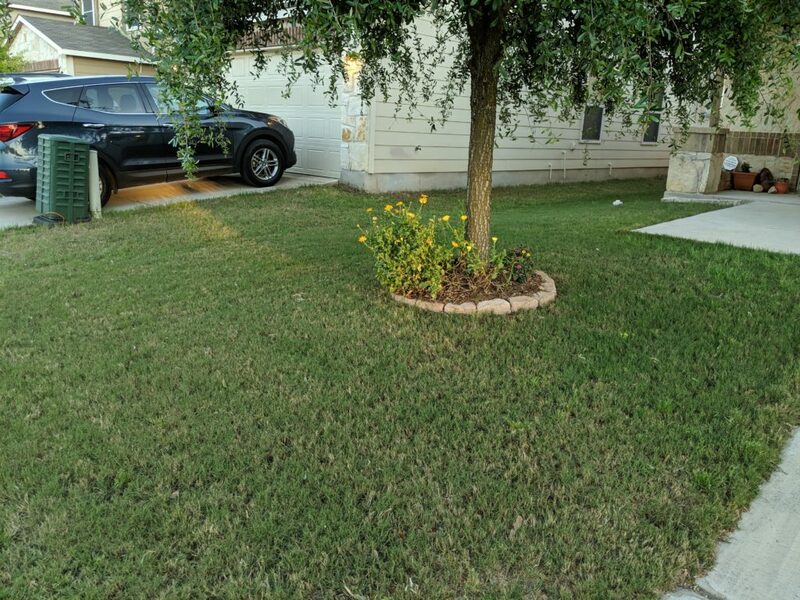 Our beautiful front yard after all of Paul’s hard work battling weeds. He also pressure-washed our front walk. It looks so great! And here’s the backyard. 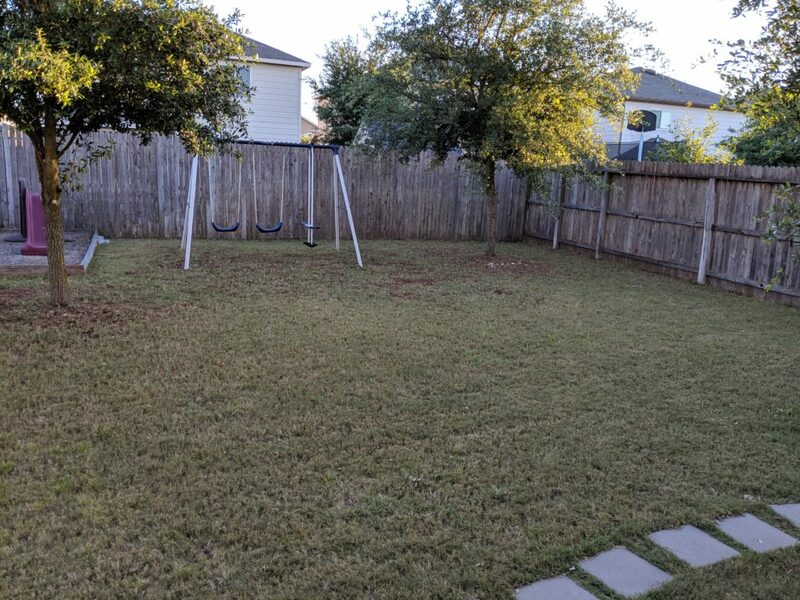 It’s hard to believe that a week ago there were a ton of weeds back here. He’s really worked hard to irradicate them! Bonus Video: Abigail playing peek-a-boo with the Easter Bunny at the park.